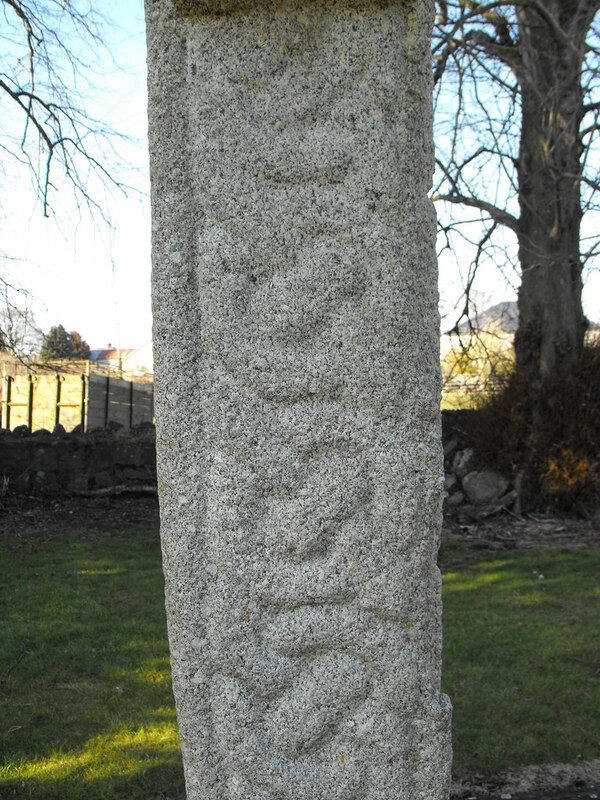 The Standing Stone: Castledermot, High Cross (North Cross), Co. Kildare. 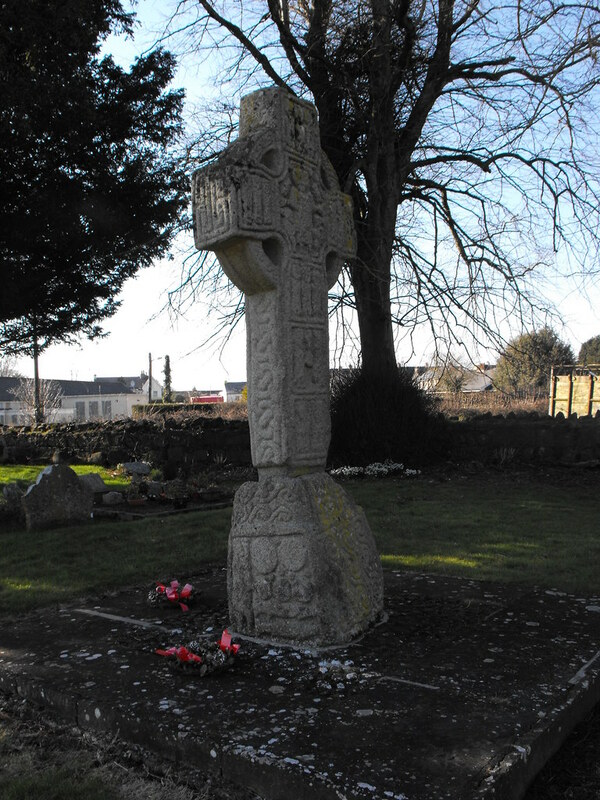 Castledermot, High Cross (North Cross), Co. Kildare. 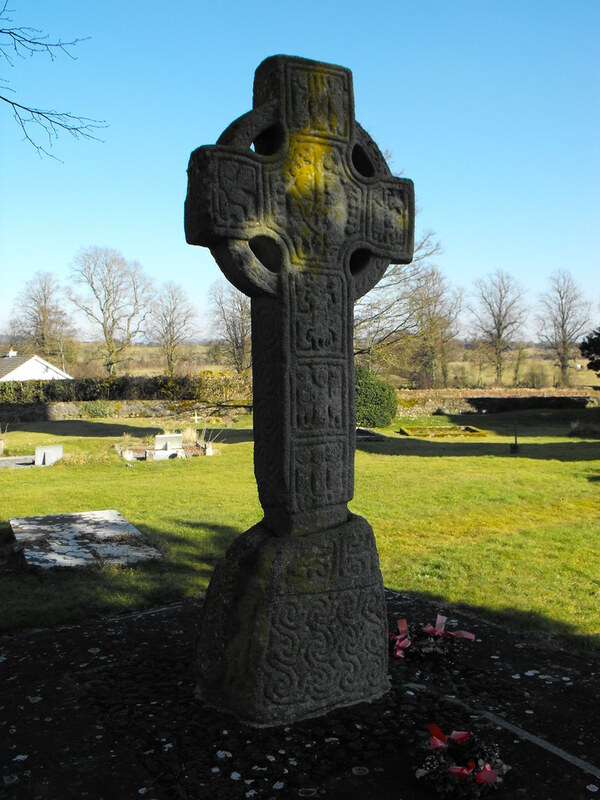 Description and History – If you really pushed me to say which of the two high crosses at this site is the most impressive I wouldn’t pick this one. 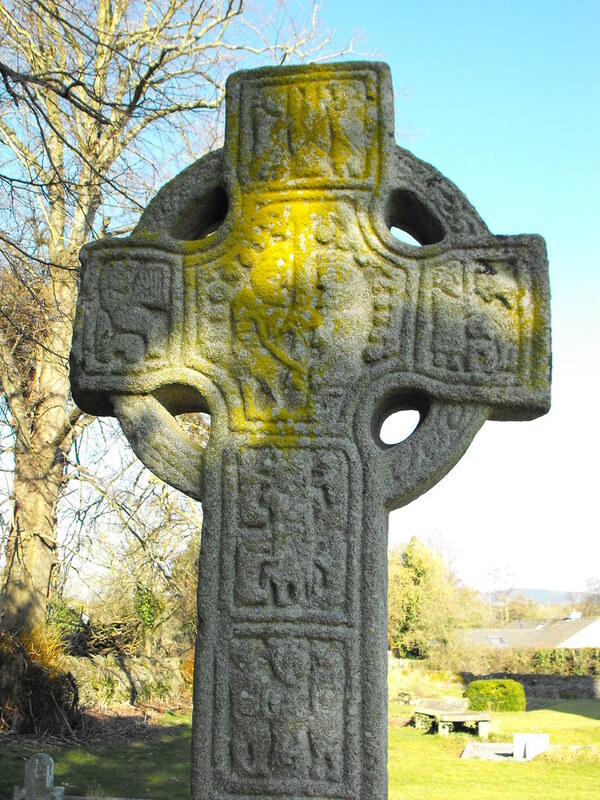 It is a truly fantastic high cross but is just slightly less well made than its partner. 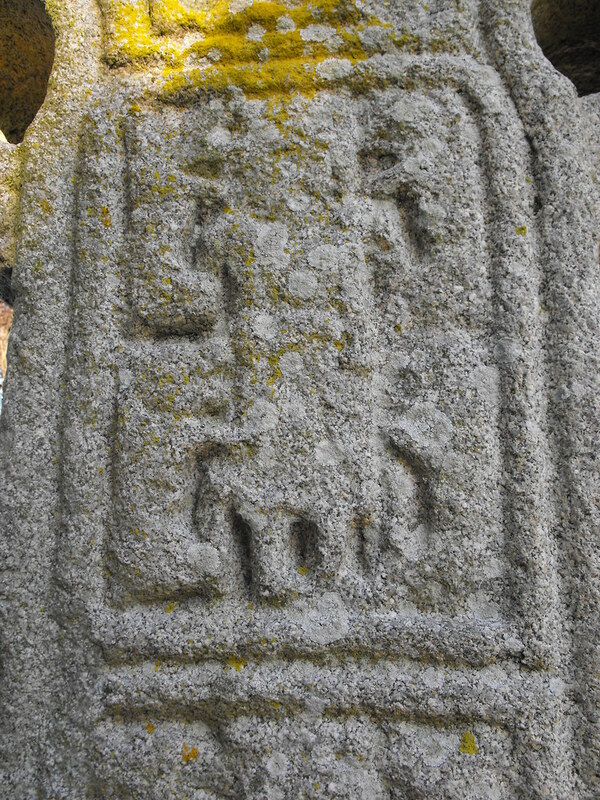 Made in the 9th century the head seems to be too large for its shaft and is not perfectly shaped. However, there are few crosses finer than this one. 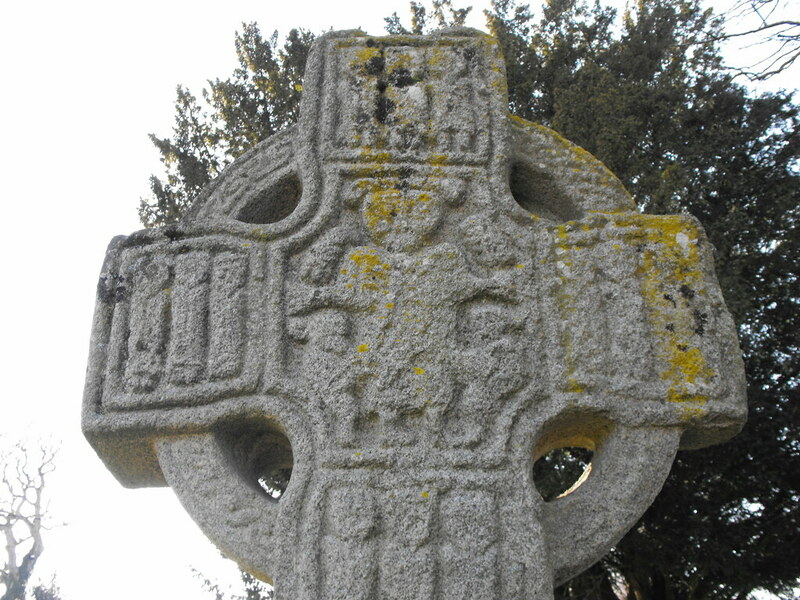 Unlike the South cross this one has biblical scenes on both faces and it is hard to know where to start. 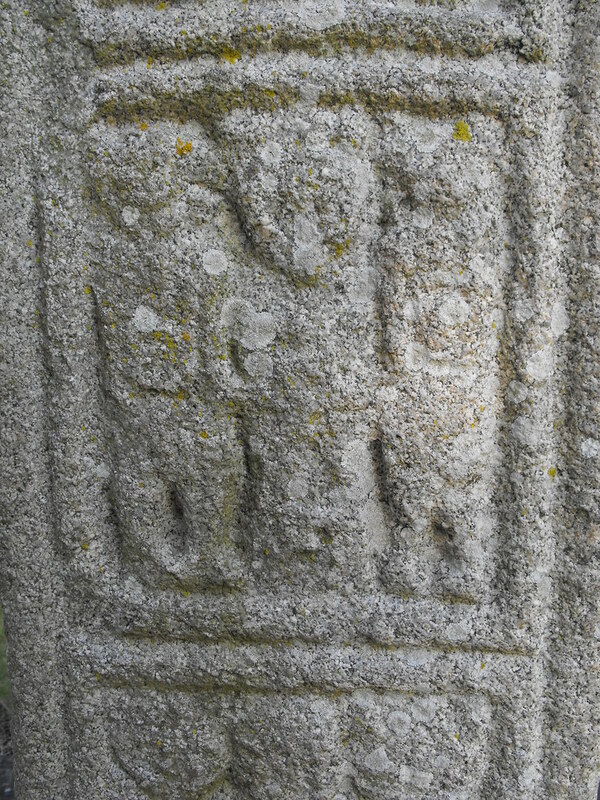 The West face shows Adam and Eve in the centre of the head with David, Daniel, Isaac and St Anthony shown in the arms of the cross. 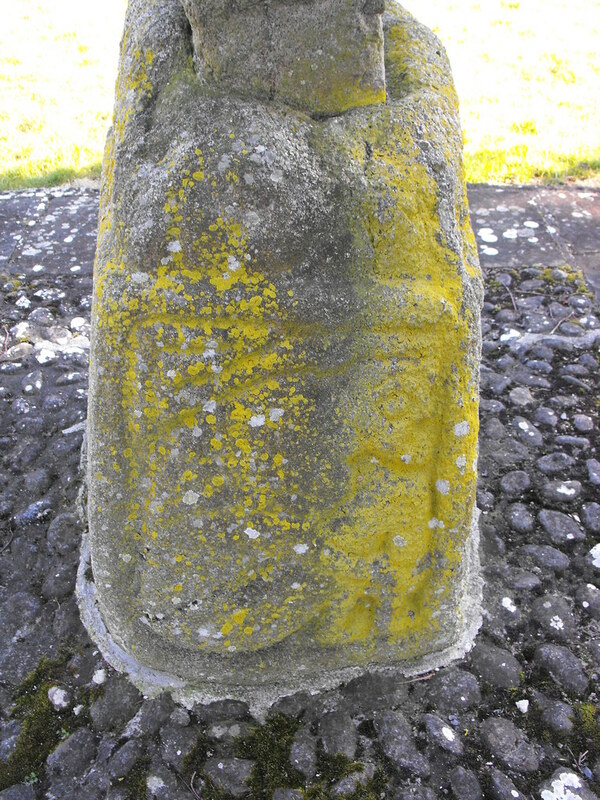 Figures adorn the shaft and the base is covered in a series of beautiful spirals. 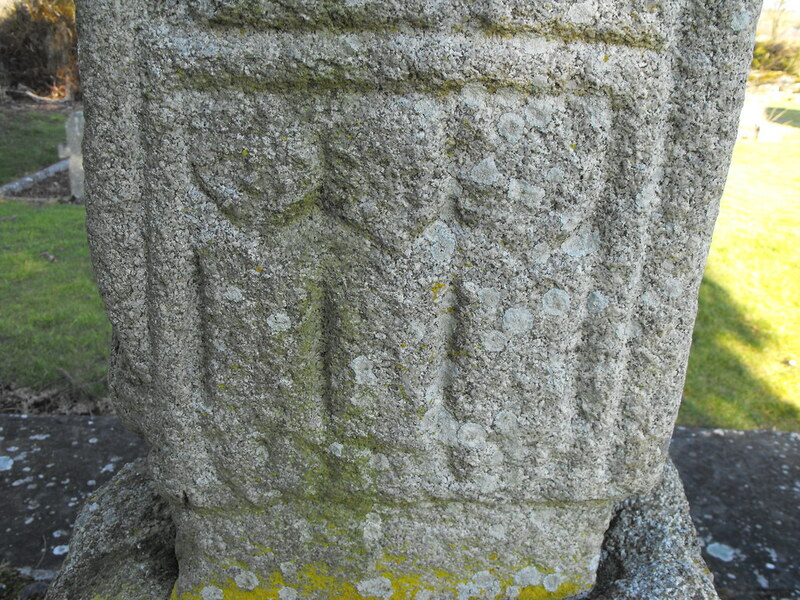 The East face of the cross has a depiction of the crucifixion and the 12 disciples on it. 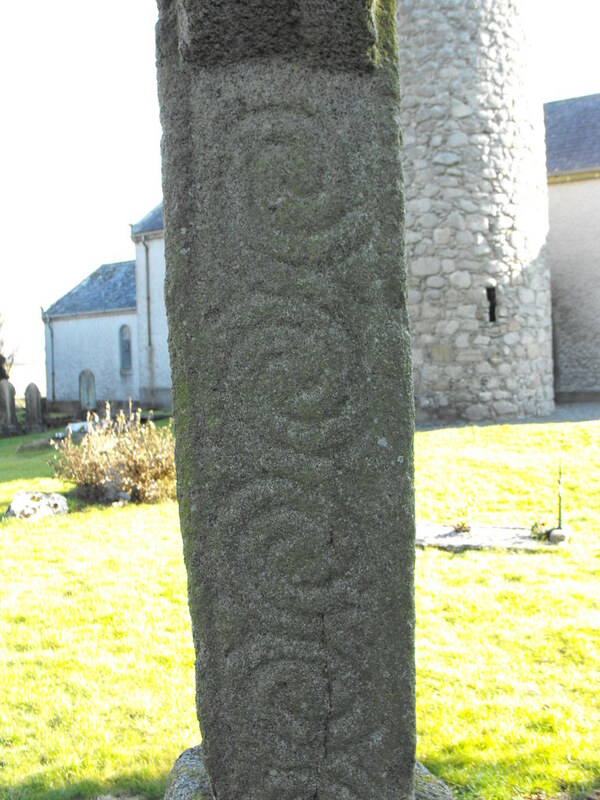 The N and S faces of the cross are decorated with more interlocking spiral designs. 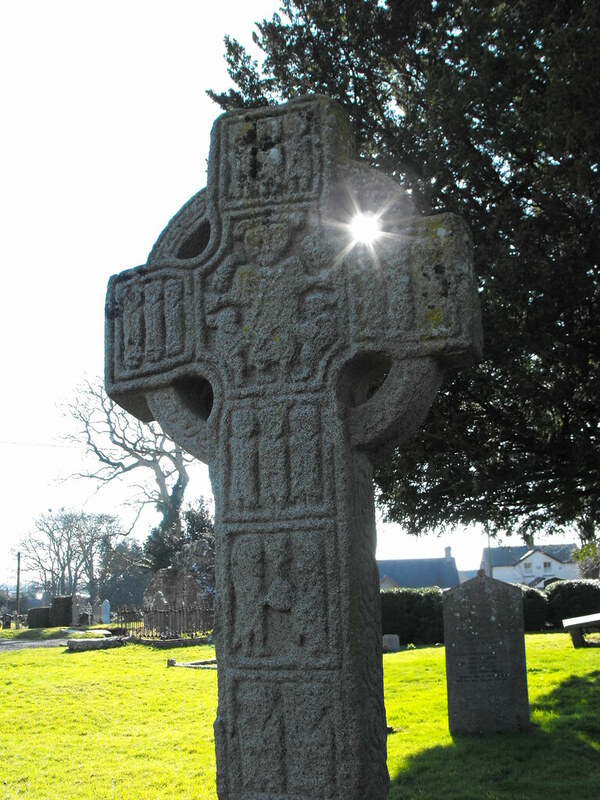 There is just so much to see on this beautiful cross. Back to the Castledermot Ecclesiastical Complex main menu. 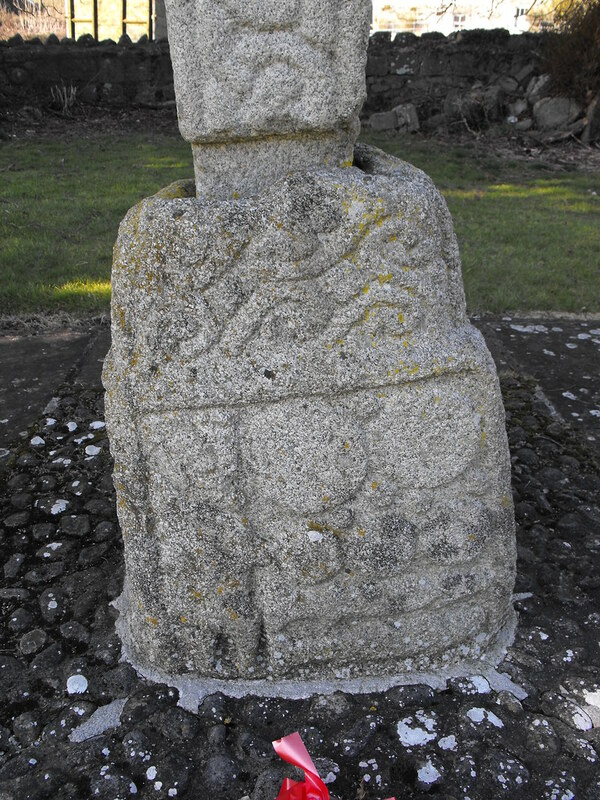 The E face of the cross. Note that the cross does not fit into the socket properly. The N face of the shaft. 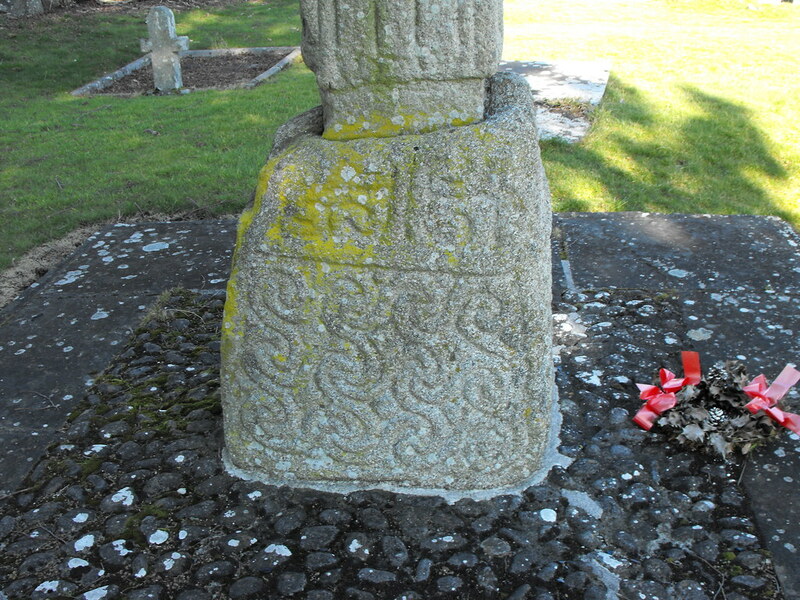 Geometric designs on the W face of the base. The crucifixion on the E face. Detail of the S face. Adam and Eve on the E face. I like the way the sun pokes through here.